Situated in the heart of Essex, the journey began with the acquisition of a venue known for housing the famous Dr Feelgood Music Bar, previously named the iconic Oysterfleet Public House. 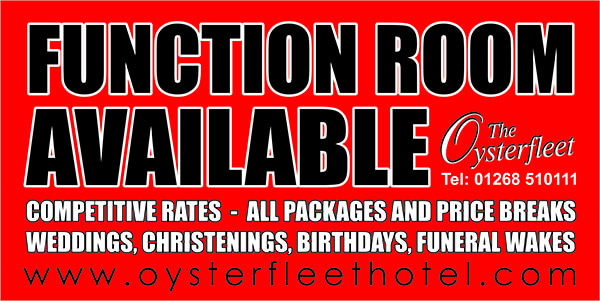 In 1995, the Oysterfleet Hotel was developed with only 16 hotel rooms, a bar, a 60 seater restaurant and a function suite. The business thrived and saw way for expansion. As it stands today the hotel boasts 41 hotel rooms, a 120 seater fine dining restaurant rebranded as the Lighthouse Restaurant, a function suite catering for civil ceremonies and an impressive beer garden with a gazebo bar. In 2012 the company decided due to public demand that a new concept was necessary and ventured into the Oysterbay Sports Bar and Brasserie. The bar situated on Canvey's seafront was an instant success catering for a mixture of age groups with a pool table, dartboard, a brasserie style menu and the showing of all major sporting events. The company is continually looking for opportunities to expand on the current success of the business.